Black is such a classic color to wear, it never gets too old with me. But adding a little gold can be fun as well! This outfit is super comfy, after all when wearing leggings what isn't? 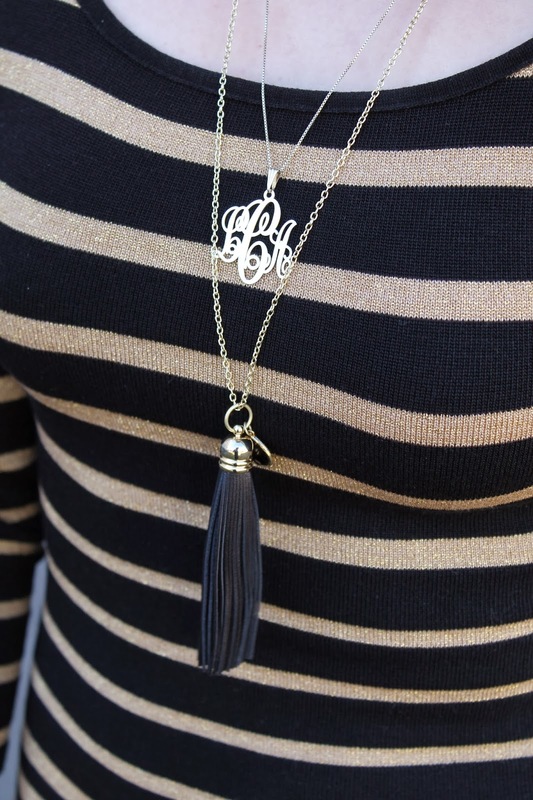 And I'm seriously in love with this black tassel necklace from Paint the Town Me Etsy Shop, its such a simple delicate number, but adds a lot to an outfit.